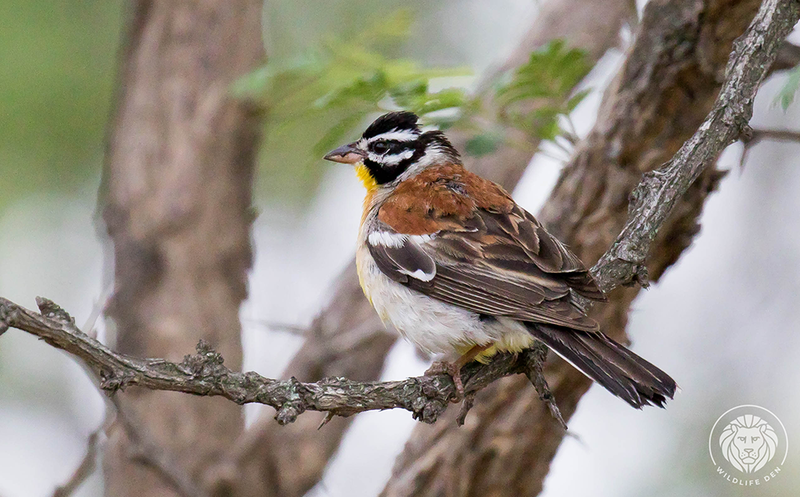 The Golden-Breasted Bunting (Afrikaans name Rooirugtstreepkoppie) is a stunning little sparrow like bird with a striped head and a bright golden breast. It is a common resident and partial migrant on rocky slopes and woodland. They feed mainly on seeds, buds and insects. We managed to see them in the Kruger National Park.